China's central bank vice-governor has some advice for Chinese men thinking of popping the question: make sure you have a clean credit record. That's because more Chinese mothers are asking for financial details before they give permission for their daughters to get married, according to Chen Yulu. 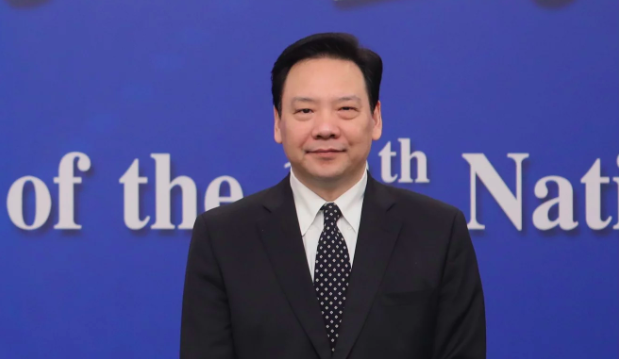 "Now, future mothers-in-law will just say, 'Show me your PBOC credit record'," Chen said on the sidelines of the annual legislative sessions in Beijing on Sunday. He said this was one example of how the People's Bank of China's credit record could be used. The report on credit history and activity was originally meant to be used by banks and other financial institutions to assess a person's ability to repay debt. But its use has been expanded in China as part of its comprehensive, and controversial, social credit system that also takes into account an individual's or company's conduct - with each of China's 1.4 billion citizens to be given a personal score. The experiment in social management involves a series of rewards and punishments that are meant to encourage people to abide by the rules, and to promote integrity and "trustworthiness" in society. But human rights activists say the system is arbitrary and does not take into account individual circumstances, so it often unfairly labels individuals and firms as untrustworthy. A national system is to be rolled out by 2020 to "allow the trustworthy to benefit wherever they go while making it difficult for the discredited to take a single step", according to the official plan released in 2014. For now, 12 cities across the country have been selected for the pilot scheme, and millions have been labelled as "untrustworthy" on an official blacklist banning them from activities including accessing financial markets or travelling by air or train. Conduct that attracts a negative score includes failing to repay loans, false or misleading advertising and "uncivilised behaviour" such as sitting in someone else's reserved seat on a train or causing trouble at a hospital. About 17.46 million "discredited" individuals were restricted from buying plane tickets and 5.47 million were banned from taking high-speed trains last year, according to the 2018 annual report released by the National Public Credit Information Centre, which is affiliated with the NDRC. Other measures to put pressure on "untrustworthy" people include restricting them from buying premium insurance, wealth management products or property, and barring their children from private schools or higher education. They can also be shamed by having their information publicly exposed. The report also said more than 3.59 million Chinese firms had been added to the official creditworthiness blacklist last year and cannot bid on projects, access security markets, take part in land auctions or issue corporate bonds. Pressure from the social credit system had forced 3.51 million individuals and entities to repay their debts or pay off taxes and fines last year, it said. On Sunday, Chen also said the central bank had made it easier for individuals to check their credit record by allowing them to make two inquiries for free. He added that a free, simplified record was available for everyone to access online. "I don't know how many of the journalists here in this room have checked your own record - I suggest you all take some time to check your own credit report," Chen said.